"*Adirondack Mountains, New York Resource Travel Guide to Olympic attractions, vacation, tourism, resort, hotel, motel, accommodations, lodging, Real Estate, Lake, Travel Guide, lodging, hiking, restaurants, real estate in Lake Placid, Saranac Lake, Tupper Lake, Lake George etc..! " We invite you to take a virtual tour of some of our most popular travel destinations including the historic mountain communities of Keene, Keene Valley, Lake Placid, Jay, Wilmington, Saranac Lake, Blue Mountain Lake, and Tahawus. 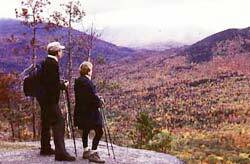 The greatest number of high peaks in the Adirondacks (in a single location) rise majestically in the Keene/Keene Valley Region making this area a meca for hikers, climbers and other visitors who wish to experience the remarkable beauty of the Adirondack mountains. 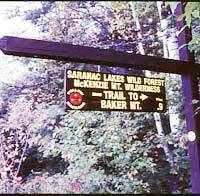 There are literally hundreds of trail heads located in the tiny hamlet of Keene including the trail to the summit of Mt. Marcy, the highest mountain in New York State. Every year the Annual Adirondack Mountaineering Festival is held mid January in Keene Valley. The event is a celebration of mountaineering that includes a variety of ice climbing and mountaineering clinics. An introduction the many landscapes of mountains, brooks and lakes of the Adirondack. The best way to discover the second highest summit of the Adirondack with a trip to some remote areas. The whole hike is a loop of 19 km. This may look very long but its all downhill after the summit of Algonquin. All the beautiful nature scenes make this one a must to do for a hiker with an average experience. Gothics, the 10th highest peak, has an impressive 360° view. This proposed hike is less popular than the one starting from The Garden, but it has a lot of things to see as: many viewpoints of the Gothics Arch, an impressive ascent to the Pyramid summit on your way down and a passage near two of the highest waterfalls in the Adirondack. The whole hike is a loop of 21 km. The only drawback is the long and doll Lake Road you will walk on your way in and out. Colden is located between Marcy and Algonquin. It offers a 360° summit view and a long open ridge. This trip is an other way to visit the great area of Avalanche Pass. The whole hike is a loop of 21 km. A small summit from the list of those over 4,000 feet but its half open summit has one of the best views in the Adirondack. Over 10 km of the trail is on flat or low grade ground. The whole hike is 14 km long. An open summit that is just under the 4,000 feet level, very similar to Cascade. It has a better viewpoint toward many of the highest peaks than Cascade. If you're looking for a longer trail, it's possible to make a loop and even add Round Mountain on your way. The shortest hike has a total of 6.6 km. "Donate that old car or pickup to your favorite charity & receive a valuable tax deduction...All with just one click!"